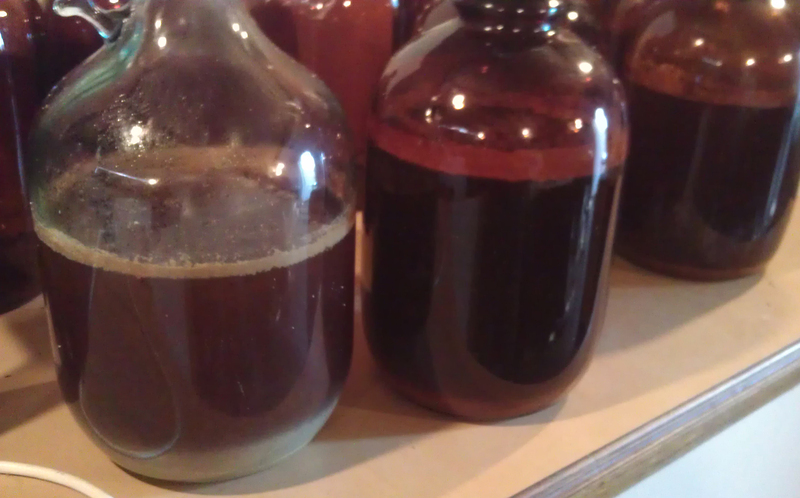 Chas has decided to make a nice pale ale. While I do all sorts of weird stuff with hops in my Australian Pale Ale series, Chas has taken a practicable approach. First, start with some basic malt and what should work for hops. Second, fix anything that’s wrong. 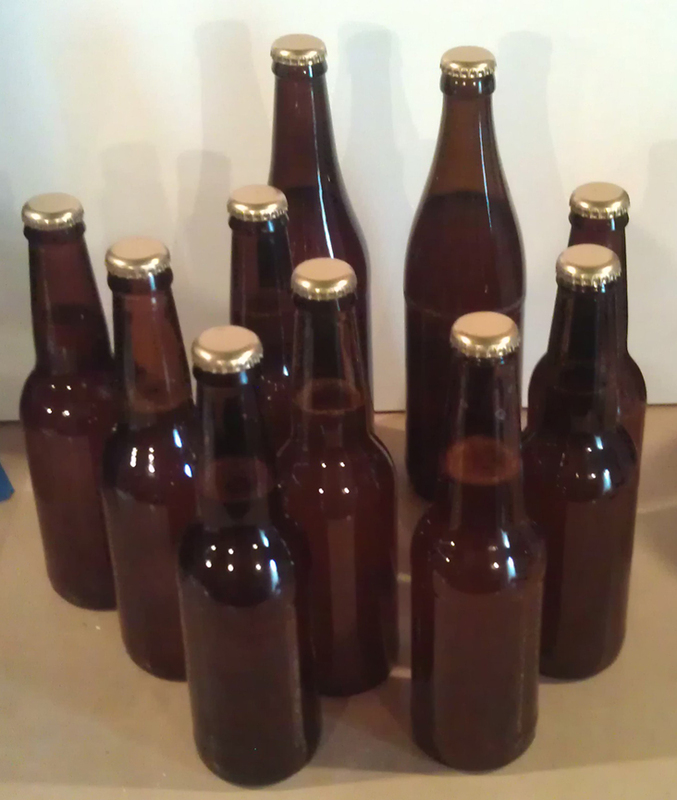 Third, enjoy your tasty home brew. Smart. 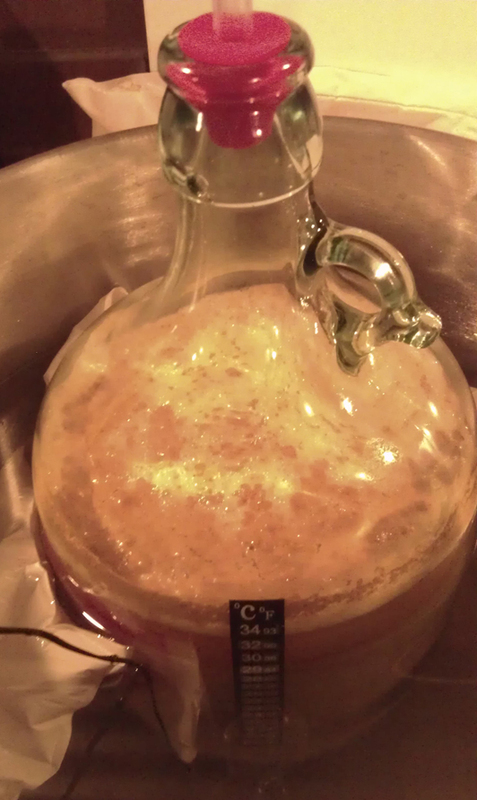 The first beer in this journey is the Basic Pale Ale (take 1). It’s an all grain small 4 litre batch. And it turned out quite well. Once opening up a bottle, there’s a stone fruit aroma like peach or nectarine. Yeasty hints as well. I quite like the smell of this beer. Sort of tropical. Onto the tasting. First thing that hits is the smooth and creamy feeling. There’s a lightness and delicate fruit flavour up front. Then there’s a slow build up of intensity in flavour, but not a whole lot. 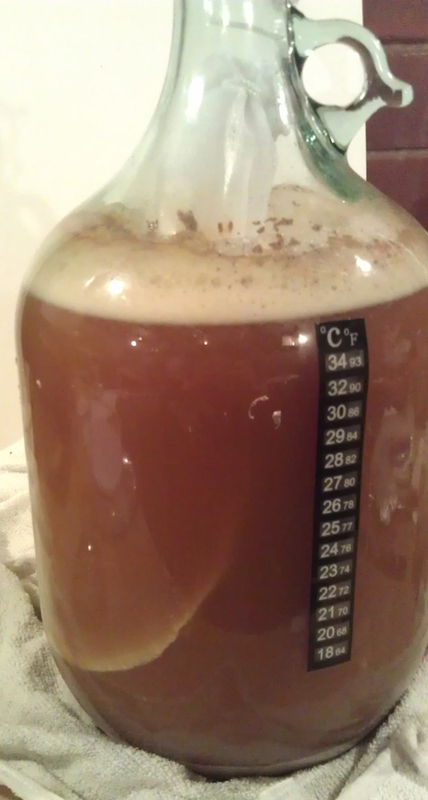 Some pine flavour comes out after it warms slightly and grapefruit flavours. Bit of a stewed fruit flavour at the end and slight dry bitterness. Finishes off with some more dryness. I like the body here. Everything is held together well. No noticeable drop away of substance. The body is on the lighter side but still keeps it all together. Not sure on the alcohol here as a gravity readings weren’t possible. If it’s not too strong it would be good as a session beer. Only downside is that the sort of stewed fruit and grapefruit flavour doesn’t quite hit the mark. Can’t quite put my finger on it. The reason could be due to not enough malt, not enough body, too much hops, or simply it’s not to my taste. Food matching, not sure. Basic home cooked meal seams to work well, steamed veggies and pan fried chicken/fish. Things that aren’t too strong. This is quite a good beer. I could easily knock back a few of theses one after another. I’m sure after a few adjustments this will be a solid beer for all occasions. 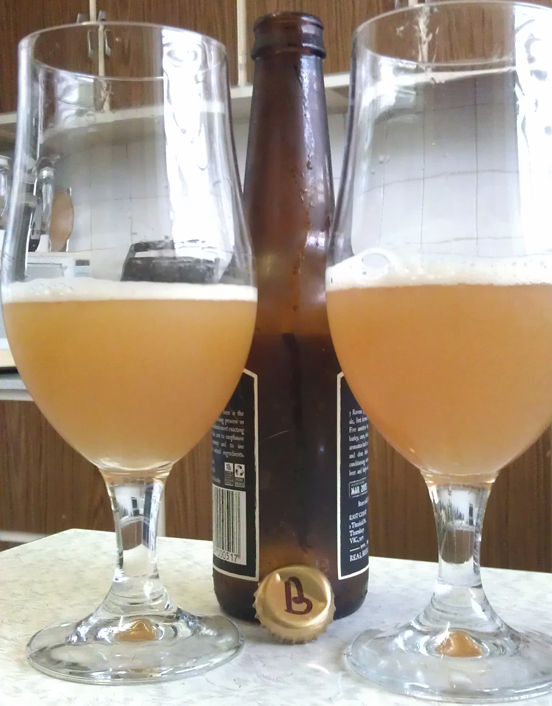 Mikey continued his experiment with different hops with the Australian Pale Ale #4, and this one was pretty tasty. 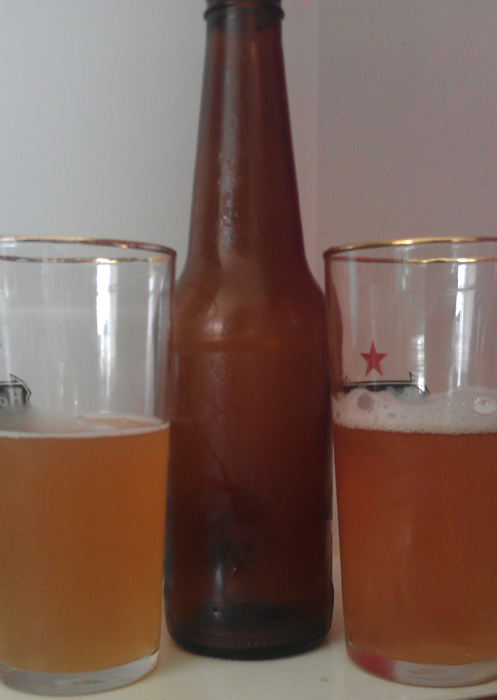 The beer was a single hop using the Victoria’s Secret hop variety, a really good, relatively new variety. The hop was used for aroma, taste, and bittering. In the smell, there were some great subtle aromas: mild citrus and a bit of cut grass. There was a bit of stone fruit in there too. On the malt side, there was a bit of sweetness to the smell which tends to be a theme in the Mikey’s Australian Pale Ale series. The whole point of the series is to keep the same malt and simply show off the hop after all. In the taste, while it’s called the Australia Pale Ale, it’s closer to the American style, albeit with a very Aussie hop. Vic Secret is a pretty bitter hop. There’s a quick build and the bitterness kind of goes “whoosh” into your mouth and sits in the back. Behind this, at the end, is a little bit of lemon zest as well which is a nice twist. Other than that, it’s all pretty standard. It’s a great beer made with a great, versatile hop. Due to the bitterness, this may be a difficult beer to enjoy with a lots of foods. It would go well with saltier snacks rather than a meal. Pop corn or cheddar cheese (not too sharp) would work. Oh the humble pale ale! While it is in fact lager that is the most widely made and consumed beers, it’s probably the pale ale that has the most variants and allows itself the most experimentation – at least according to me. Because of this, the pale ale is great place for experimentation and a great way to learn more about the craft of beer making. 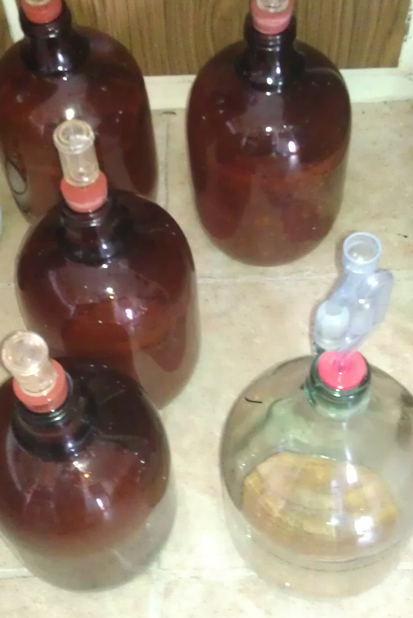 While Mikey and I have done quite a few brews, of course we still have quite a bit to learn. So it’s been decided to make the most basic of basic pale ales and work our way up from there. Keep in mind, yes, Mikey has been been experimenting with “basic” pale ales. His is an exercise in playing with different hops, seeing how they go as a single hop, and seeing how they interact. This is an exercise in making a very basic recipe, and building on that very same recipe. 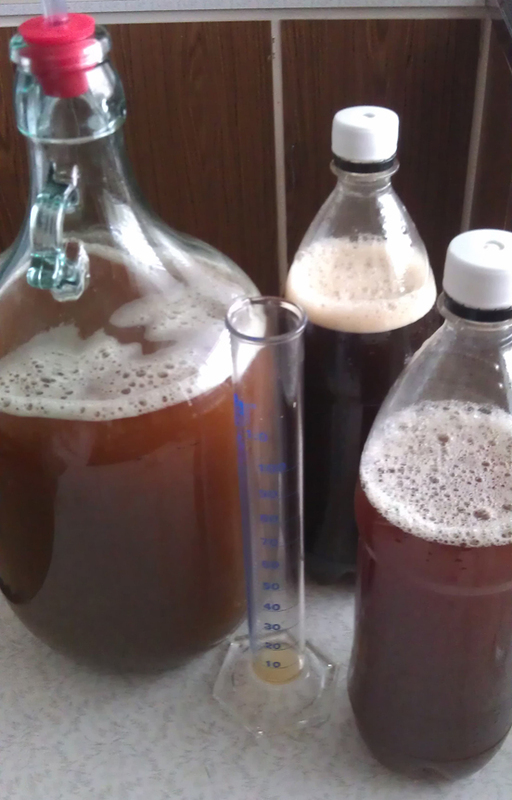 Yes, this is a basic one – just some traditional pale ale malt and some hops. What hops to use was an educated guess. We’ll see how it tastes and develop from there. 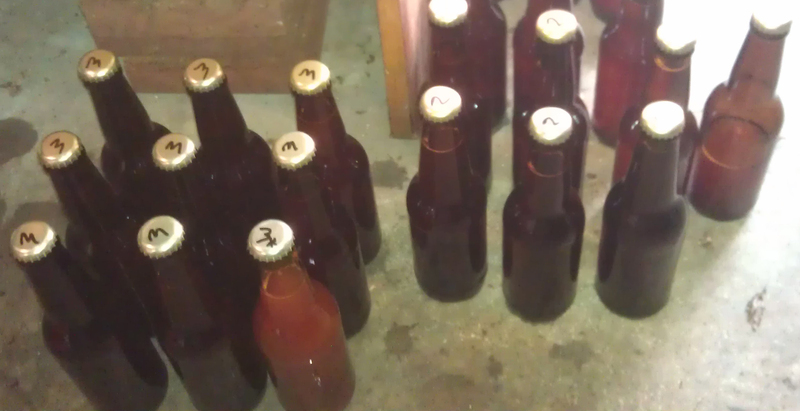 The following is for a four litre batch. 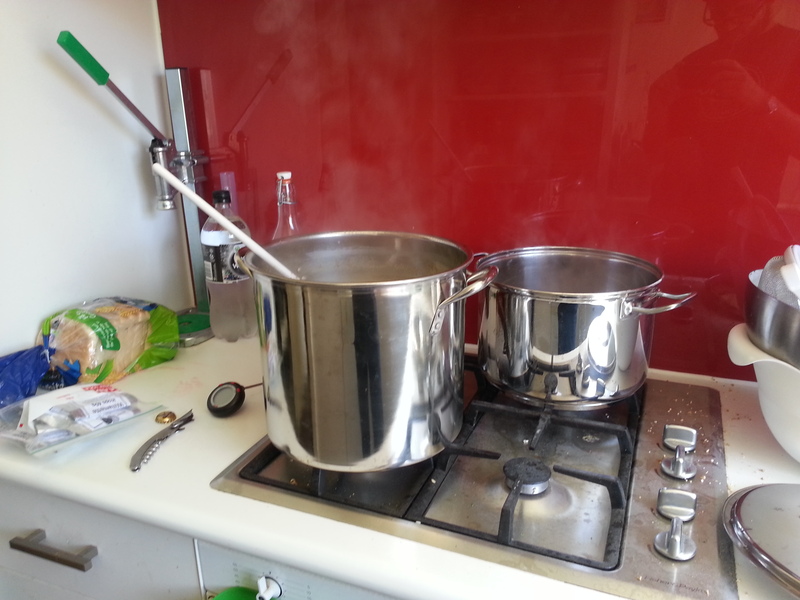 The malt was mashed at 65 degrees in five litres of water for 90 minutes. We felt this was a pretty good rule of thumb to start with. As mentioned, this recipe will be the skeleton for what will be developed into a unique recipe. 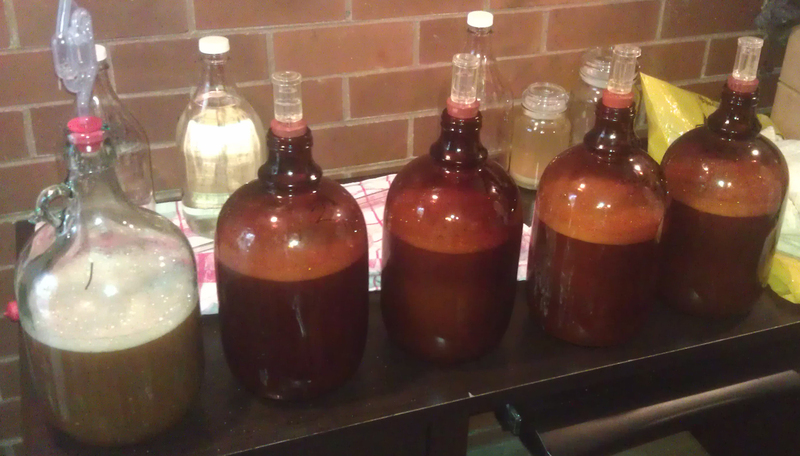 After the initial mashing, we sparged with another 1.5 litres of water. 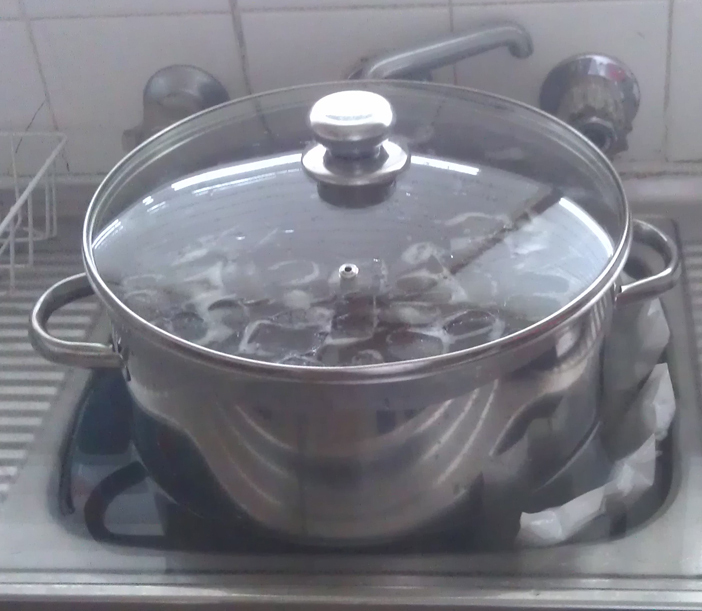 This left us with 6.5 litres at the start of the boil, noting that this is a recipe for 4 litres! 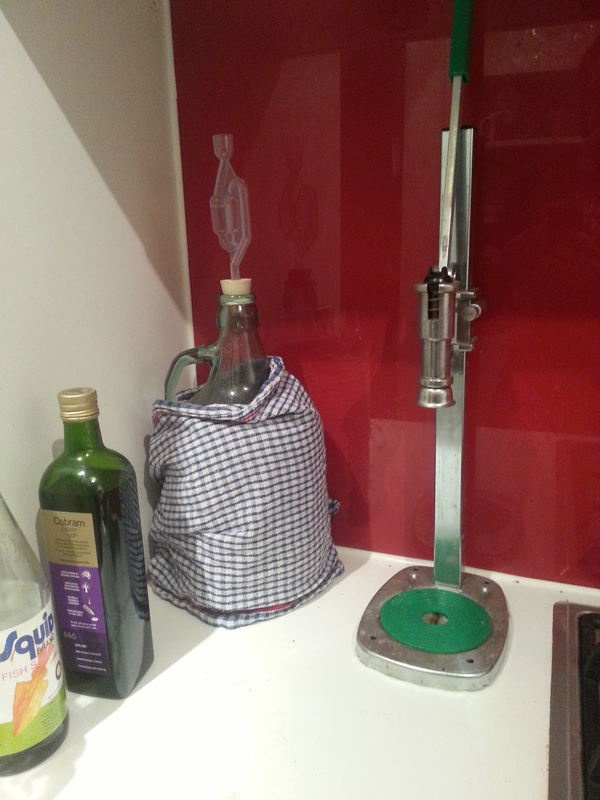 Unsurprisingly we lost a fair bit of water in the boil and ended up with about 3.5 litres when it was added to the carboy. We were aiming for an American Pale Ale style of hopping. According to our calculations, the IBUs came in on the top end of the style, which is fine, especially as there will be some other great fruity, tropical, and pine flavours coming through with the hops. I’m really keen to see how this turns out. I’m sure there will be some more flavours that we’ll want to add in there, but we’ll let the first batch tell us what those are and go from there. It seams like only yesterday in put up the review for the Red Dog Pale Ale 1. And now here a we are with the second version. 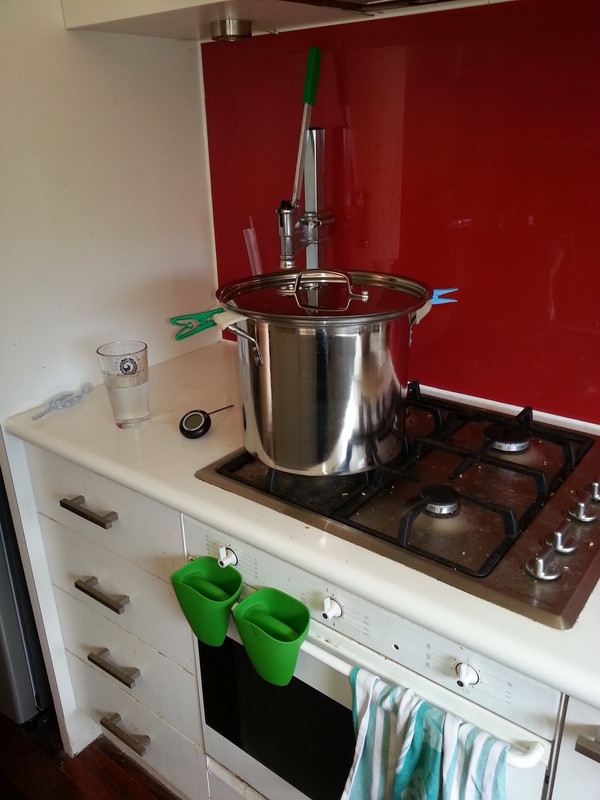 As Chas mentioned in the write up of the brew day, not everything went to plan. The main issue being that there wasn’t as much conversion of the grain to sugar as expected. The result was an original gravity lower than planned. I expected this to result in a beer that was thinner than first version, and also dryer. I was right about about one. There’s a nice passionfruit aroma. Has hints of grapefruit and light malt as well. But that Doesn’t stay with you long. Taste wise it’s light and fruity at the front. Both grapefruit and passionfruit comes out across the length of the beer and lingers for a bit. Both drop away a bit too early. Next there the light body sitting behind this all which helps give a slight creaminess at the back. The problem I have is that the body doesn’t hold up. As it drops out so does the flavour. The bite and bitterness of the grapefruit is the main character here. Overall this is a really nice beer. It’s just the light body that drops off which lets the beer down. This is probably due to the issues with the grain. For matching with food there’s a lot of options. As there isn’t a big profile here so the beer can work with a lot of foods that don’t have a really strong flavour. Chicken, fish & chips, Mexican food, most pub meals, salads and veggies, you get the idea. The beer would get overpowered quiet easily by any rich or dark food. Despite the issues with the brew, this turned out well. Not a complex beer. This is one you can enjoy any day of the week, or have a few in a row. Update: Corrected some spelling and gramma. Whoops.